On April 8, 2015 the Dallas City Council voted to “Deny without prejudice” zoning request #Z134-291 as it relates to 815 N Hampton Road. In the last few weeks, Councilman Griggs has been working with the developer and the opposition to broker a comprise plan. However, the developer did not find the compromise plan favorable and in a surreal turn of events, agreed to not contest a denial without prejudice motion offered by Councilman Griggs. In fact, the developer did not even make a statement at the hearing. The ruling does not prohibit the developer from filing a new zoning request but we have been assured by Councilman Griggs that the developer does not intend to do so. Many residents of West Kessler and Oak Cliff had real concerns about this proposed rezoning from the very start. Importantly though, many of us are not opposed to new development in our district and understand the City’s desire to strengthen the tax base and to provide diverse home ownership options to its citizens. But it has to be done right. Not every book gets published and not every painting gets into a museum. 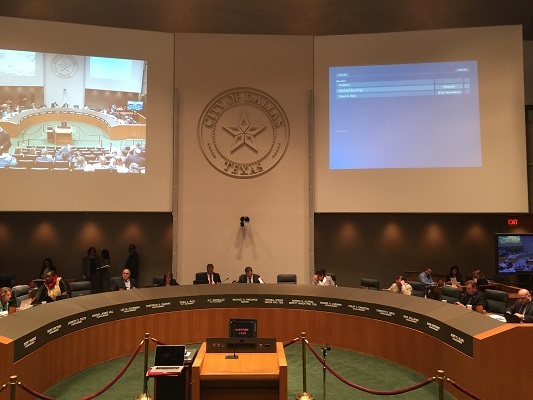 We appreciate all the support in our efforts to insist on a responsible development and hope to keep the message of “responsible development” going forward as this will not be the only or last rezoning attempt in Oak Cliff. We also know and respect the fact that many members of the community supported the proposed development. We extend our hand in symbolic gesture and hope that the wounds of this contentious debate begin to heal.